Fuller, Steve. “A Pax Anglica?.” Social Epistemology Review and Reply Collective 4, no. 4 (2015): 26-28. Editor’s Note: Thanks to Literary Review for allowing us to republish Steve Fuller’s review of Michael Gordin’s Scientific Babel. English is the global scientific language—and has been for some time. That much is obvious. What is not so obvious is why. 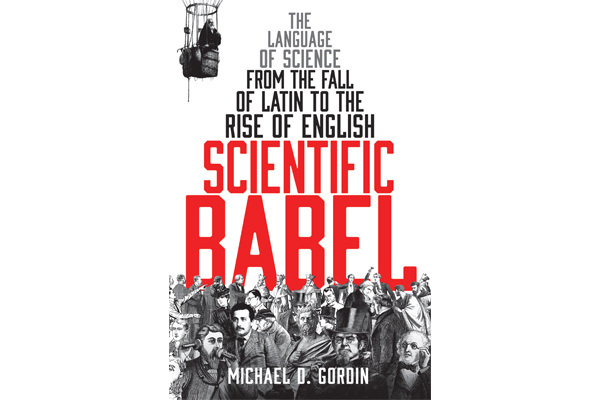 Although Scientific Babel is presented as a history of the very idea of a global scientific language, Michael Gordin, a Princeton-based historian of 19th- and 20th-century physical sciences, is really interested in fathoming the ascendancy of English. Nowadays, Spanish is actually the European language with the most native speakers, but English has the most second-language speakers. And that’s what counts when it comes to being the global scientific language. Indeed, Spanish was never a serious contender in the global scientific sweepstakes. Gordin has not been alone in trying to explain the rise of scientific English. Scott Montgomery, a scientifically trained professional translator, has published a couple of books devoted to this theme that complement Gordin’s: Science in Translation and Does Science Need a Global Language? Whereas Montgomery treats East and West as relatively equal long-term contributors to the idea of a global scientific language and focuses more directly on the costs and benefits of different sorts of translation practices, Gordin’s tight focus on the last 350 years of Western history enables him to provide a more vivid sense of the political stakes in plumping for one or another language. Perhaps unsurprisingly, Montgomery’s two books, along with Gordin’s, are published in the US by the University of Chicago Press. Its parent institution boasts of teaching the most languages of any university in the world. It is easy to underestimate the significance of English. Not only is English the dominant scientific language, but the English sense of ‘science’ is also the one that is dominant. English is the only language in which the core meaning of ‘science’ is restricted to the natural and exact sciences. With the ascent of English has come a stronger academic marking of the divide between ‘scientific’ and ‘non-scientific’ (or humanistic) inquiry, so that the former now vastly outstrips the latter in both output and prestige worldwide. As Gordin points out, this process only began in earnest after the First World War, once the United States started to emerge as a global power. Prior to that, English, French and German had been jostling for position as the global scientific language, with German having made the most impressive gains over the previous generation. The belief that English would eventually dominate in the long term was more strongly held in the US than the UK. Indeed, in the 1960s, as decolonisation reached its peak in Asia and Africa, British commentators were predicting that English would soon need to yield to faster-growing languages such as Chinese and Swahili. However, this has turned out not to be necessary, even with the growing presence of China on the world’s scientific stage. A vital aspect of this development that Gordin fails to register is the uniqueness of what Churchill dubbed the ‘special relationship’ between the UK and the US. Among other things, it involved the wholesale transfer of cultural capital from the coloniser to a former colony. Nothing comparable happened between, say, Spain and Mexico or even Portugal and Brazil, the closest analogues. Yet in these cases too the same language is spoken in the two countries and the former colony has overtaken the coloniser in global prominence. The relatively seamless transition from the UK to the US as the global standard-bearer of English deserves further attention as a crucial background condition to the language’s supremacy in science. Students of American history will know that prior to the First World War there was no particular love for the UK in the US outside of the elites—which is very much how Latin Americans still regard their European colonisers. While the ‘special relationship’ may help to explain how English took hold as the global scientific language, it probably says little about its long-term prospects in that role. Gordin himself is confident that it will retain its status, mainly because such a large proportion of scientific terms have been coined in English. Here it is worth recalling what the historian of science Derek Price could already observe in 1963, namely that 80 to 90 per cent of all scientists who have ever lived are living now. The proportion has obviously increased in the last fifty years—and a majority of them have been working in English, in which 95 per cent of all scientific publications are written. So the exponential growth rate in scientific literature will probably keep English in the driving seat for the long haul. To be sure, this growth rate is a function of the geopolitical dynamics of the Cold War, which pitted the scientific establishments of the US and the USSR against each other. Gordin shows how the US National Science Foundation decided to fund the first research programmes into machine translation—a stepping stone to artificial intelligence—in order to cope with the torrent of Soviet scientific texts, which by 1970 had earned Russian 20 per cent of the global scientific market. One wonders whether this exponential growth rate can continue indefinitely, given the cost of supporting so many scientists whose writings – even if in English – will be read by a diminishingly small percentage of people. However, looming just beyond Gordin’s case for the scientific hegemony of English is the question of its long-term significance for the world’s linguistic ecology. This is a matter that Gordin himself raises only briefly, but readers can turn to Montgomery for more guidance. Two countervailing issues are worth considering. On the one hand, as languages become more marginalised from scientific communication, it will be difficult for them to incorporate scientific concepts without anglicising them in the process, possibly resulting in the sort of slow linguistic death sentence that the French have long demonised as ‘Franglais’. On the other hand, and of greater concern to native English speakers, the need for their language to function in an increasingly global capacity will strip it of nuance and style, and perhaps even inventiveness, thereby rendering English ‘mechanical’ in just the sense that the original machine translation theorists thought was adequate for making sense of Soviet science. Neither prospect is palatable but both are likely as long as scientific English reigns supreme. Tied for 5th is far from 1st! Fact checking after loose speculation. So what are ‘social sciences’ in English then? Social ‘not-sciences’?! Please see http://en.wikipedia.org/wiki/List_of_languages_by_number_of_native_speakers. Also, in your example, by paring the terms ‘social’ and ‘science’ you appear to have contradicted your argument. Oh, yea, not native English/Spanish speakers in Europe but ‘most native speakers’ worldwide. The author paired (not pared – ‘cutting away’?) “natural and exact sciences”. But now as (presumably) native English speaker you take issue with “social sciences” being paired together? Basically the claim being made is that ‘social sciences’ are *not* ‘sciences’ properly speaking, isn’t it? At least according to English language preference. A typo, forgive me. It’s not Fuller’s claim, rather my observation that by pairing ‘social’ and ‘science’ you illustrate the ambiguity of simply referring to ‘science’. In English, we cannot be sure that by simply referring to ‘science’ that the audience will consider ‘social science’—my guess, likely not. The issue is not whether social science is proper science, but to what, in common English usage, ‘science’ refers. Ok good, glad to consensus. Can we be sure “that by simply referring to ‘science’” people in ‘common English usage’ *don’t* mean to include ‘social sciences’? Comte aside. Where are surveys? Chinese, Indian, Brazilian, Lebanese; do these people with their languages actually exclude ‘society’ from ‘science’ methodologies? Even as collective ideas? Why not tradition includes humanity and culture, society, people not only ‘objective’ nature? Perhaps SERRC diverse memberships, as show in your team profiles can help to answer? I take Fuller’s point to be that given the dominance of English as the language of science (and, moreover, the general lack of prestige accorded to non-English science journals), the term ‘science’ may offer a less robust conception of the scientific enterprise and, so, curtails our imagination as to what science is and ought to be. While the Oxford English Dictionary will not resolve your question, we get an indication that ‘science’ refers predominately to natural science. I gather the term ‘science’ may not have a direct referent (or, at best, a disputed referent) in many languages. You have given yourself an interesting research project!